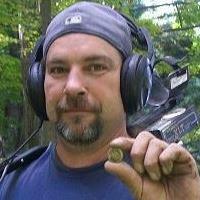 Tuesday, September 23rd, 2014.. 8:30PM EASTERN TIME…..
.For a special INSIDE DETECTING!! As we go Inside Detecting, with this woman, Mrs. Anita Cook Holcombe.!! Yes you heard me right!! Wife, partner and friend of the infamous Mr. Butch Holcombe, editor of American Digger Magazine, and host of internet radio show, Relic Roundup!! Join me as we talk life, love and and dedication!! And more importantly, being the wife of a die hard metal detectorist/relic hunter!!! We’ll get Anita’s views on the hobby/lifestyle, her involvement with Butch and the magazine and radio show, and what it’s like to actually live in the “lifestyle” of metal detecting/treasure hunting!! I can’t wait to talk to Anita, and look forward to our conversation!! DO NOT MISS THIS ONE FOLKS, TRUST ME ITS GONNA BE A GOOD ONE!! As always pay attention, it just may be rewarding to you!! Click the link below to listen live through the player tomorrow night.!! Joined from Chicago by Chicago Ron and Gretchen Edwardson and some of the gang up at Detectapalooza 2014… Chuck Smalley, Josh Kimmel, Ryan Holubiw, Reese Burnett, Derek Asklar and the gang. .Josh Kimmel interviews 50 year detecting veteran Chris Engel!! Here is an example of why you can not believe what the media prints or shows….same photo used by 3 different countries…..
1. 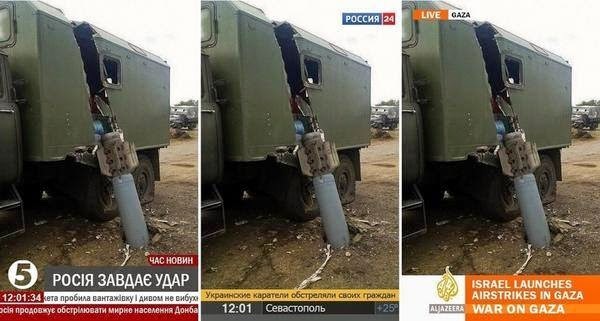 Ukraine: “Russia deals a blow”. COLUMBUS, Ohio (AP) — One of the last times anyone ever saw Tommy Thompson, he was walking on the pool deck of a Florida mansion wearing nothing but eye glasses, leather shoes, socks and underwear, his brown hair growing wild. It was a far cry from the conquering hero who, almost two decades before, docked a ship in Norfolk, Virginia, loaded with what’s been described as the greatest lost treasure in American history — thousands of pounds of gold that sat in the ocean for 131 years after the ship carrying it sank during a hurricane. On that day in 1989, Thompson couldn’t contain a grin as hundreds cheered his achievement. But his victory was short-lived. In this February 2010 photo provided by Donn Pearlman, the gold remains of a wooden cargo box unearthed from the SS Central America is shown at a coin collection expo in Long Beach, Calif.
For the past two years, the U.S. Marshals Service has hunted Thompson as a fugitive — wanted for skipping a court date to explain to investors what happened to the riches. The rise and fall of the intrepid explorer is the stuff of storybooks, a tale receiving renewed attention amid a new expedition begun this year to the sunken ship. Around 1983, Thompson grew obsessed with tracking down the SS Central America. When the ship went down off the South Carolina coast in 1857, 425 people drowned and gold worth millions was lost. In this February 2010 photo provided by Donn Pearlman, assorted gold bars recovered from the SS Central America are shown at a coin collection expo in Long Beach, California. But his joy faded fast. Thirty-nine insurance companies sued Thompson, claiming they had insured the gold in 1857 and that it belonged to them. In 1996, Thompson’s company was awarded 92 percent of the treasure, and the rest was divided among some of the insurers. Four years later, Thompson’s company netted $50 million after selling 532 gold bars and thousands of coins to a gold marking group. Yet his legal troubles weren’t over. By 2005, Thompson’s investors still hadn’t been paid, and two sued — a now-deceased investment firm president who put in some $250,000 and the Dispatch Printing Company, which publishes The Columbus Dispatch newspaper and invested about $1 million. The following year, nine members of Thompson’s crew also sued, saying they, too, were promised some proceeds. Thompson went into seclusion, moving into a mansion in Vero Beach, Florida. After that, his behavior turned bizarre. Thompson refused to use his real name on his utility bills, telling realtor Vance Brinkerhoff that his life had been threatened and asking him, “How would you like to live like that?” Brinkerhoff recounted the exchange in a court deposition. In this May 28, 2014 photo, U.S. Marshal Brad Fleming displays a wanted poster for fugitive Tommy Thompson in Columbus, Ohio. The Marshals Service has splashed Thompson’s face on electronic billboards and run down hundreds of tips — from the guy who thought he might have shared an elevator with Thompson to a report that the name “Tommy” was signed on a memorial website for a dead friend of the treasure hunter. Nothing has panned out. A “Wanted” poster even hangs in the barge making a new voyage to the Central America. Since April, Florida-based Odyssey Marine Exploration has brought up millions of dollars in gold and silver bars and coins. That work will continue indefinitely, an Odyssey spokeswoman said, and Thompson’s original investors are expected to receive part of the recovered riches. In this Aug. 29,1991 photo, Tommy Thompson, left, stands at the helm of the Arctic Explorer as Bob Evans, center, and Barry Schatz look on in Norfolk, Va.
An attorney for the investors who sued did not respond to requests for comment, nor did a number of the investors. As to where Thompson, now 62, might be, theories abound. The crew members’ attorney, Mike Szolosi, asserts that he’s seen records indicating Thompson took 500 gold coins worth $2 million and took potentially millions from his own company on top of his approved compensation. “Presumably all of that is still somewhere with Tommy,” he said. Attorney Rick Roble, who defended Thompson’s company until he withdrew from the case last month, said there’s no proof Thompson stole anything. FILE – This 1989 file photo shows gold bars and coins from the S.S. Central America, a mail steamship, which sunk in a hurricane in 1857, about 160 miles off the North Carolina coast. If caught, Thompson would be asked to account for the missing coins and explain where proceeds from the treasure’s sale went. He could face jail time and hefty fines if he refuses. Gil Kirk, a former director of one of Thompson’s companies, said he put $1.8 million into the treasure hunt. Though he hasn’t gotten any of that back, Kirk still supports Thompson and insists he never bilked anyone. To Kirk, Thompson remains an American hero, “like the Wright brothers.” The tragedy, he said, is that Thompson’s dream became his doom. detecting, strategies, finds, and who knows what else may come up!! Dave’s had some killer finds, and has been tenacious in this hobby/lifestyle… Let’s find out what keeps him intense and passionate about this lifestyle!! As always pay close attention, it just may reward you!! Click the link below to listen live through the player tonight!! 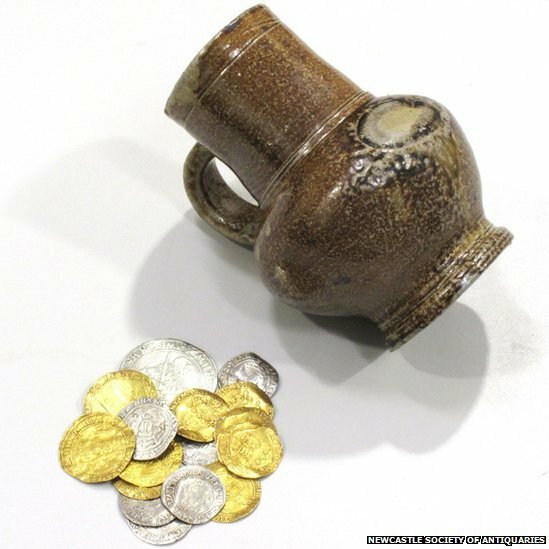 Lindisfarne treasure hoard: Plea to raise final £3,000…..
Campaigners aiming to buy a hoard of treasure unearthed in Northumberland are appealing for the public to help raise a final £3,000. Builder Richard Mason found a pottery jug on the island of Lindisfarne in 2003, but it was not until 2011 that he found the jug contained 17 rare coins. After being declared as treasure, Newcastle’s Society of Antiquaries campaigned to keep it in the region. The society said a final £3,000 is now needed to reach the £30,900 target. The campaign currently has £26,000 thanks to donations from the V& A Purchase Grant fund and the Headley Museums Archaeological Acquisitions Scheme. However, in order to secure it at the Great North Museum in Newcastle, a final £3,000 must come from donations by members of the public. Great North Museum manager, Dr Sarah Glynn, said: “We are so close now to being able to secure this fantastic hoard of coins and we are extremely grateful for all the support we have received so far. The 10 gold and seven silver coins span the reign of six English sovereigns and several European states with one – a gold scudo of Pope Clement VII, who refused to annul the marriage of Henry VIII to Catherine of Aragon in the 1520s – thought to be worth about £30,000 alone. The oldest coin is a silver groat of King Henry VI, minted in the late-1420s or early-1430s, and the latest is a silver sixpence of Queen Elizabeth I, minted in London in 1562. 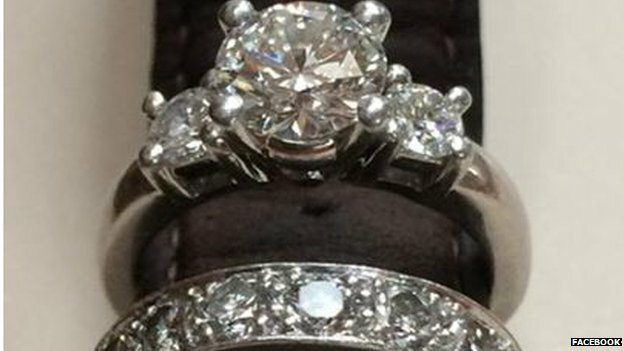 New York: Fireman returns diamond ring found on beach…..
A New York beachcomber has found a missing wedding ring and found its original owner after searching for her on social media. Erin Carrazzo lost both her wedding ring and her engagement ring on holiday on New York’s Fire Island, and posted later on Facebook that she hoped a “metal detector dude” would find it. Her wish came true when retired fireman Mike Cogan uncovered the rings when running his detector over Robert Moses Beach. The photos on Facebook were shared over 19,500 times, and eventually reached people who knew Carrazzo in the New York City neighbourhood of Flushing. Ten days later they spoke on the phone and then met in person. “Getting in touch with her was as good as finding the diamonds,” says Cogan, who slipped the ring back on Carrazzo’s finger on the beach. Meanwhile, Carrazzo can’t believe her luck. “I’m amazed how much good there is in the world,” she says. 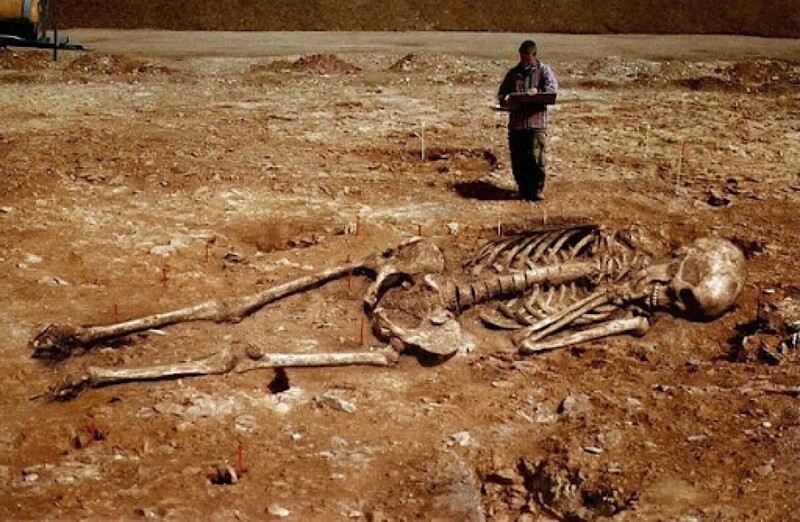 Who’s buried in the largest tomb in Greece? ?